Sen. John McCain joined the ladies of Fox News' Outnumbered TV show this morning and offered up a devastating rebuke of Trump's call for legalizing waterboarding and much worse, and former Bush officials who said we got actionable intelligence from torture. Andrea Tantaros, played the torture loving Conservative, viewed anyone against torture as the "Stephanopoulos view," constantly asked if the Bush officials were liars. 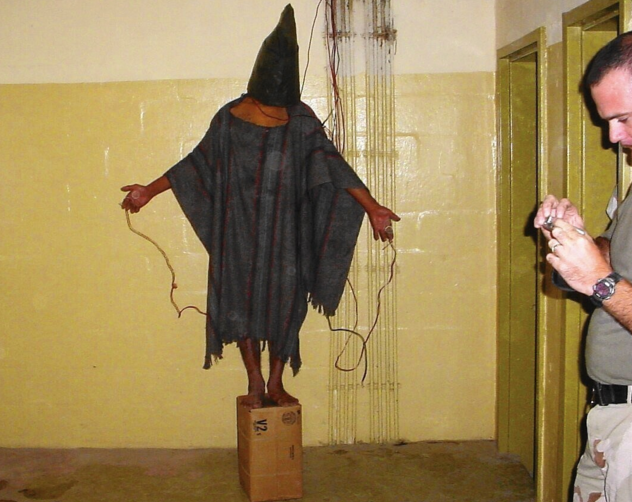 McCain unequivocally said "yes," they were lying about the results they received from torturing prisoners and then explained why Abu Ghraib was a horrible moment and an extremist recruitment story. McCain then invoked the Most Admired Man in Conservative Circles, Gen. Petraeus, who also has issued a powerful rebuke of torture. McCain was attacked by Trump weeks ago as not being a war hero because the AZ Senator was a Lindsey Graham supporter, but he had all the facts on his side when discussing this issue. According to McCain, the information gathered by subjecting suspects to simulated drowning is often flat-out inaccurate. “They got a whole lot of information that was totally false,” the Arizona senator said of the use of waterboarding during George W. Bush’s administration. “Do we want to resort to doing things that our enemies do? Do we want to be on the same plane as those people chopping off heads?” he continued. "Well, if you believe the Geneva convention, which prohibits it, if you believe the 93-3 vote we took in the Senate, which prohibiting waterboarding and other forms of torture...all of us admire general David Petraeus. Let me give you his quote -- "our nation has paid a high price in recent decades for the information gained by the use of techniques beyond those in the field manual which prohibits it and in my view the price paid fair outweighed the value of the information gained through the use of techniques beyond those in the manual." Watch the whole exchange. It's quite stunning. Question about Michael Mukasey...is he a liar? McCain said: "Yes, I know that he is. Even if we had gotten useful information, the propaganda and the image and the behavior of the greatest nation on earth from torturing people is not what we want and it helps the enemy." And yet, keep in mind that the only one of those who were asked about waterboarding who said they would not do it was Jeb Bush and only because it's been expressly deemed illegal not because he thinks there's anything wrong with it. The frontrunner Trump wants to get the US into the beheading business.